Adding the BTK inhibitor acalabrutinib (Calquence) to bendamustine and rituximab (Rituxan; BR) induced high overall response rates (ORRs) in both treatment-naïve and relapsed/refractory patients with mantle cell lymphoma (MCL), according to results from a phase Ib trial presented at the 2018 ASH Annual Meeting. Findings from the ongoing, open-label study showed a 94% (n = 17) ORR among 18 treatment-naïve patients, including a complete response (CR) rate of 72% (n = 13) and a partial response (PR) rate of 22% (n = 4). The ORR was 85% (n = 17) among 20 relapsed/refractory patients, including a CR rate of 65% (n = 13) and a PR rate of 20% (n = 4). There was also 1 patients with stable disease in the relapse/refractory subgroup. 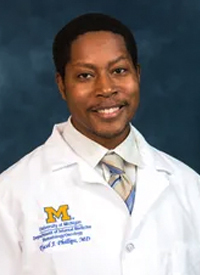 “Obviously, this is a small study, but the combination looks safe and effective,” said study investigator Tycel Phillips, MD, who presented the data at ASH. “Based on information that was presented at last year’s ASH, most people are initiating BTK inhibitors earlier in the treatment course. Anything we can do to improve upon the duration of response with a BTK inhibitor would be optimal, so we treat them with bendamustine or give them bendamustine in the second-line setting, which is also a reasonable option in these patients,” added Phillips, a clinical researcher at the University of Michigan. The FDA approved single-agent acalabrutinib in October 2017 as a treatment for adult patients with MCL following at least 1 prior therapy. BR is standard first-line therapy for MCL. The trial enrolled patients at 15 sites across 3 countries. Eligible patients were those with confirmed MCL with documentation of monoclonal CD20-positive B cells that have a chromosome translocation t(11;14)(q13;q32) and/or overexpress cyclin D1, an ECOG performance status ≤2, and adequate cardiovascular function. In order to be enrolled, patients must not have received any prior BTK or BCL-2 inhibition therapy. Patients received oral acalabrutinib, 100 mg twice daily, plus bendamustine, 90 mg/m2 intravenously on days 1 and 2, and rituximab, 375 mg/m2 intravenously on day 1, in each 28-day cycle. Acalabrutinib was given until disease progression or intolerance; BR was repeated every 28 days for up to 6 cycles. Patients with treatment-naïve MCL who achieved a PR or CR received rituximab maintenance therapy (375 mg/m2 every other cycle for up to 12 doses starting on cycle 8). At baseline, 61% of the treatment-naïve group and 50% of the relapsed/refractory group were ≥65 years. Bulky disease ≥10 cm was present in 6% and 10%, respectively, and 11% and 15%, respectively, were high risk by the simplified MCL International Prognostic Index. Some 89% and 95%, respectively, had Ann Arbor stage IV disease. The time from initial diagnosis to first dose was a median of 2 months (range, 0.6-50.5) in the treatment-naïve group and 62 months (range, 8.1-99.4) in the relapsed/refractory group. The median number of prior therapies in the relapsed/refractory cohort was 2 (range, 1-4) and 45% were refractory to their most recent treatment. The median time on study was 20.6 months (range, 0.6-26.1) for treatment-naïve patients and 16.9 months (range, 1.2-26.6) for relapsed/refractory patients; 72% of treatment-naïve and 50% of relapsed/refractory patients completed 6 cycles of BR with acalabrutinib. Among the responders, the median times to initial response were 1.9 months (range, 1.6-2.8) in the treatment-naïve group and 1.8 months (range, 1.6-2.3) in the relapsed/refractory group. The median times to best response were 1.9 (range, 1.6-10.1) and 2.0 months (range, 1.6-14.8), respectively. The safety profile was consistent with expected safety profiles for acalabrutinib and BR. Dose-limiting toxicity (DLT) was evaluated in the first 6 patients per cohort after completing 1 cycle. No DLTs were observed in either cohort. In the treatment-naïve cohort, grade ≥3 adverse events (AEs) in ≥10% of patients were neutropenia (39%) and pneumonia (11%). Serious AEs occurring in ≥2 patients included pneumonia (grade 3, n = 2 [11%]) and pyrexia (grade 1, n = 2 [11%]). One patient had grade 4 pulmonary alveolar hemorrhage attributed to acalabrutinib that led to discontinuation of the study treatment. In the relapsed/refractory cohort, grade ≥3 AEs in ≥10% were neutropenia (50%) and diarrhea (10%). One patient had grade 1 pneumonia and 2 had grade 3 pneumonia. Three patients had a grade 3 major hemorrhage considered to be unrelated to acalabrutinib. Overall, 1 patient had a grade 5 AE of pneumonitis. The high CR rate with acalabrutinib plus BR supports further study of the combination, said Phillips. The study has also added a chemotherapy-free arm of acalabrutinib plus venetoclax (Venclexta). Additionally, a phase III randomized placebo-controlled study of BR alone versus BR plus acalabrutinib in patients with newly diagnosed MCL is ongoing (NCT02972840). Phillips TJ, Smith SD, Jurczak W, et al. Safety and efficacy of acalabrutinib plus bendamustine and rituximab (BR) in patients with treatment-naive (TN) or relapsed/refractory (R/R) mantle cell lymphoma (MCL). Presented at: 2018 ASH Annual Meeting; Dec. 1-4, 2018; San Diego, CA. Abstract 4144.